The California Air Resources Board (CARB) had a few blunt words for carmakers that likely has more than a few concerned about future vehicles sales in the U.S.’s largest car market. Speaking before the Society of Automotive Engineer’s annual World Congress, Mary Nichols, who heads CARB, said petitions filed asking the federal government to reassess California’s sales requirements for zero-emission vehicles is a waste of time, according to Green Car Reports. The petitions were filed last month with the U.S. Environmental Protection Agency by the Alliance of Automobile Manufacturers and Association of Global Automakers who contend that the sales requirement for vehicles is a federal matter. At issue, is a move by CARB, which has the power to set its own emissions rules, that will require automakers to sell a certain percentage of zero-emission vehicles on top of a new federal rule that will require all 2025 model-year vehicles sold in the U.S. to have an average of 54.5 mpg. CARB’s Advanced Clean Cars program, approved last year, requires carmakers also to increase their sales of fully zero-emission or plug-in hybrid vehicles for 2015 through 2025 in California, which accounts for roughly 1.5 million of all the vehicles sold a year. By 2025, the California emissions rule will require that one in seven vehicles sold in the state or 15.4 percent will consist of plug-in hybrids, battery electric cars or fuel-cell vehicles, notes Green Car Reports in a previous article. CARB says the rules will help to reduce the state’s greenhouse gas emissions by 40 million tons per year, equivalent to taking 8 million vehicles off the state’s roads. The board says the move will also save about $5 billion in running costs for drivers, calculated by what it currently cost in power to drive a mile on the grid compared to the cost to drive a mile on gasoline. By 2040, the California Air Resources Board expects the most of new vehicles sold in the state to be zero-emission. Noting that the zero emissions goals were drafted several years ago, Nichols told the carmakers they are, “shooting yourselves in the foot, or maybe I could say, tripping over your own halo,” in trying to get the requirements reconsidered, as reported by Green Car Reports. 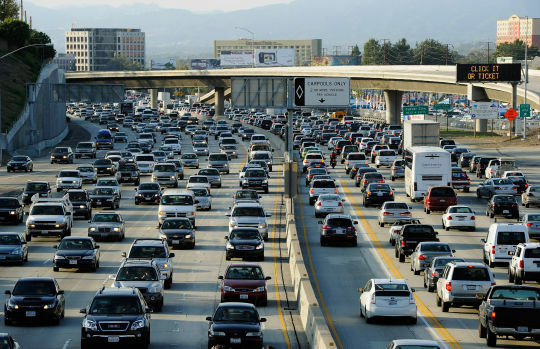 California’s ability to set its own emissions regulations dates back to the 1960s when state officials pushed to control the high levels of smog in the Los Angeles area generated from vehicle exhaust fumes.